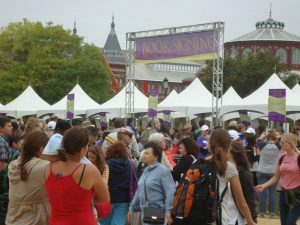 The annual National Book Festival drew many readers across the area. Photo by James Dionne. 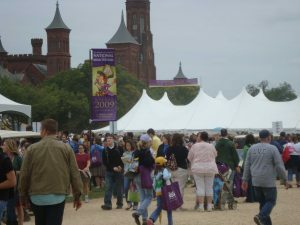 The Library of Congress held its National Book Festival at the national mall this Saturday Sept. 26. Over 70 authors partook in the event, including Judy Bloom, John Grisham, Jodi Picoult and Nicholas Sparks. Laura Bush stared the event nine years ago in cooperation with the Junior League of America, which is a service organization predominantly for women. The organization provides most of the volunteers for the festival. “The whole purpose is to promote literacy and give people access to famous authors,” said volunteer Catherine Hunter, a member of the Junior League of Washington. 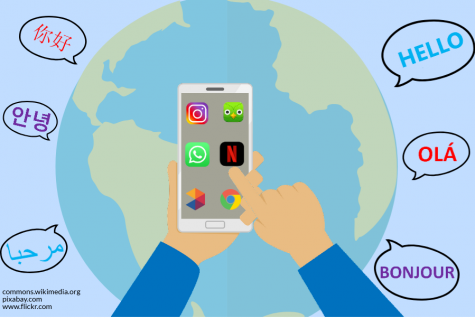 The size of the festival surprised many. Hunter estimated that over 140,000 people were in attendance. To attract different types of people, the festival has many sections. Tents were dedicated to everything from history to mysteries, and a large area was designated for book signings. It also incorporated many elements to appeal to children, like the presence of people dressed as PBS Kids’ characters. Kids could take a picture with Clifford the Big Red Dog and shake hands with Sid the Science Kid. The festivals’ mass appeal has created a staunch following. Martinsberg, West Virginia librarian Demi Lewin had been coming to the festival every year since its creation.